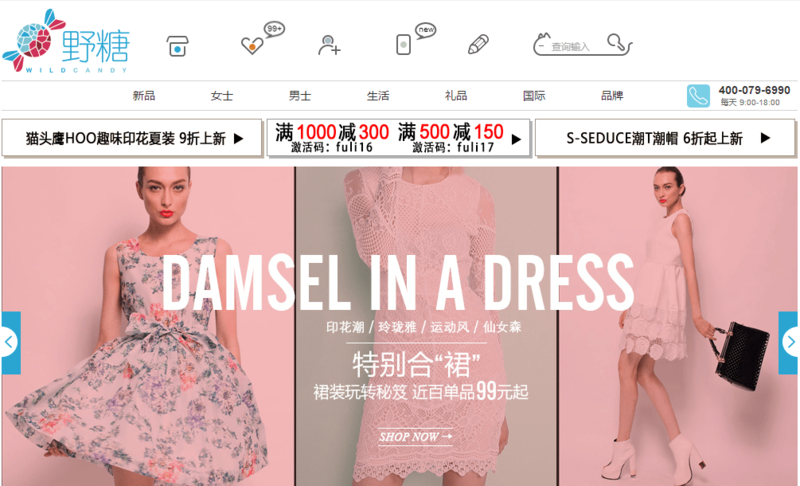 Co-founded by Natasia Guo and Yan Zhang (who in 2011 co-founded Nuandao, an e-commerce for independent designs), Yetang announced today that it just netted a multi-million angel fund from IDG Capital Partners. Yetang is an e-commerce site that curates apparels and accessories targeted at China’s post-90s generation, who are often stereotyped as the hip young folks who desire something a little bit different. The website name is self-explanatory – “ye tang”, which means “wild candy” in Chinese, poignantly portrays China’s cute but wild post-90s generation. Yetang’s sweet and wild taste. People may not know most of the brands on Yetang, but that’s exactly the selling point. Unlike the all-encompassing Taobao, Yetang curates designers and brands that strictly fits the taste of young folks who are seeking a touch of individuality. The website features over 500 independent designers and brands. With as many as 50-100 new pieces that hit the shelf everyday, Yetang hopes to rival giant fashion retailers who lead the fast fashion current. Yetang also thinks that we are experiencing a solid time for independent fashion design. For one, China’s export-led textile industry is gradually turning inward as local demand rises, lowering the bar for minimum order. This will be great news for starting designers with tight budgets. As of now, Yetang has over 250,000 registered users. It gained over 60% of its users from social networks like Weibo, Douban and WeChat. 45% of Yetang’s visitors are mobile-based, and 35% of its orders come through its app.